After you wake up, drink 2 cups of water in empty bowel. For beginers it would be difficult,so they can start with a single cup. After few days increase the intake to 2 cups.After this brush your teeth and take bath. For next 45 minutes you should not drink or eat. After that enjoy your breakfast, then for the next 2 hours do not drink or eat. Make this a routine and you can feel relief from bowel problems, Hyper-tension and diabetes in 30 days. If you take one glass of water 20 minute before your meal, it will supplement the digestion process. Drink one glass of water before bath to lower your blood pressure. Studies proved that drinking a galss of water before going to bed reduces the chances of stroke (brain hemorrage ) and heart attack. When you feel tired, drink a glass of water. Tiredness may be due to dehydration. 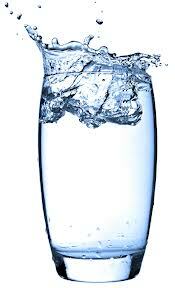 You should drink water equivalent to half of your body weight in lbs , divided by 2 and the value is in ounce. Convert 93.69 ounce to liter and you should drink 2.77 liters of water every day. Never drink water with your meals as it delay the process of digestion. Water between meals will dilute the digestive juices so digestion process take much time. Avoid soft drinks , colas etc. Always try to drink purest water or natural isotonic beverages like Cocunut water or natural juices taken from fresh and clean fruits or vegetables. Over consumption of water can cause excessive sweating, urination and even cause death of the person.